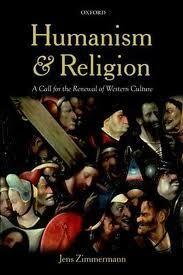 As a number of books from important thinkers (Etienne Gilson, Jeffrey Burton Russell) have sought to educate open-minded readers to a most enlightened Middle Ages, Zimmermann seeks, in part, to challenge some misinterpretations and terrible damage done to a most Christian era–the Renaissance. According to Zimmerman, the roots of secularism and secularization are not to be found in the Renaissance, but at a later time and in different soil. At worst, there were some bad seeds planted here and there that later produced mixed fruit even during the Renaissance, but not all the bad seed can be be attributed to that age. This book is difficult to specify the type of analysis it offers. Zimmermann moves in a most erudite manner from one discipline to another, is conversant with a breadth of primary sources, and clearly familiar with the secondary and therefore derivative and sometimes misguided sources. Structurally, the work is a survey of the Western intellectual and cultural terrain. Philosophically and theologically, it is an informed and engaging interpretation of incarnational humanism and its implications for possible cultural renewal. Offering insightful critiques, with a polemical edge at times, of some facets of multiculturalism and discussing what should be understood as “secular fundamentalism,” Zimmermann moves beyond symptoms and moves toward the specifics of what is polarizing our culture at large and the academy in particular. His ultimate proposal is that Christianity, as a humanism, offers a viable worldview and way of life in contrast to a divisive multiculturalism and secularism. Specifically, this learned book offers a masterful examination of the hysteria of fundamentalist atheism. The dogmatic secularism that is often articulated in the metaphysical diatribes of Dawkins, Dennett, and Harris is ably called into question by Zimmermann. The inability of some to recognize the inherent relationship between proper reason and sound faith should not oppose those who would seriously seek this way of knowing. While parts of this work are indeed polemical, Zimmermann’s overall attempt is to correct numerous misinterpretations of overwhelming data. Zimmermann is also trying to move beyond polemical and polarized positions more to a place where there may be common ground in Western intellectual endeavors. Zimmermann persuasively asserts throughout that “Religion is not the enemy of humanism, but it’s very source.” Throughout this impressive work, Zimmermann makes a strong case that Renaissance humanism, contrary to popularly held beliefs, was primarily and essentially Christian in nature. At times, Zimmerman uses the term humanist in a technical, academic sense to describe one who is open to all areas of knowledge. This thread of the work is best understood as an exploration of Christian humanism within religion, cultural history, literature, science, and hermeneutic philosophy. Specifically addressing the educational aspects of humanism, Zimmerman says “the ideals of humanism, for example, reveal the spiritual motivation behind social and educational movements in Western culture.” In a number of places within this work, Zimmermann reaffirms the general notion that religion and culture, as well as, faith and reason were historically and can still be connected toward educational ends. Among the many impressive elements within this work is Zimmermann’s insights toward a correct interpretation of Renaissance humanism. Zimmerman attempts here to do what others have been striving to do regarding the Middle Ages for number of years. For the longest time in the modern world, the consensus regarding the Middle Ages is that it was dark and ignorant. For many years, in the modern world, the Renaissance has been interpreted as the first era to free humanity from religious ignorance and bigotry. Zimmerman offers a counter position that demonstrates that Renaissance humanism was, as a whole, gloriously informed and shaped by Christian conviction. As it relates to the educational roots of humanism, Zimmerman traces these roots all the way back to the Greek and Roman tradition. Beginning however with Cicero, and later the Studia Humanitatis, it is human reason and language that is explored as that which allows human beings to reflect and share their lives with one another, reflect upon transcendent reality, and not be governed by our lower base animal nature. Despite overwhelming odds of this book receiving a wide audience, Zimmerman does an artful job of making the case that indeed the great strength of Christian humanism and it’s greatest contribution to Western culture is the “confluence of reason and faith.” He also makes a profound argument that the separation of reason from faith is what has contributed to a decline of deep thinking in the West. “Faith is not contrary to reason, but is its very source as its fulfillment. Made in God’s image, human beings are endowed with reason, and reason’s true source and its home is the divine Logos, ‘the Word Himself.’” Reason is thus ultimately relational and inseparable from embodied experience and exploration. Zimmerman recognizes that a large part of his struggle to communicate the ideas he desires to get across in this work is very difficult because we in the Western world seem to have lost our ability to “think deeply.” Specifically, he demonstrates this by the alienated role of religion in Western culture, but also the decline of “deep thinking” within our own secular society. Additionally, the way natural scientists and social scientists reduce religious phenomenon to merely biologically rooted mutations is a particular example of this absence of “deep thinking.”Robert M. Woods is a Senior Contributor to The Imaginative Conservative. This post originally appeared at Musings of Christian Humanist and is reprinted here by the gracious permission of the author.